Workshop Set D: 10:30 a.m. – 12:00 p.m. Using Housing First to Combat the Opioid Crisis Across the state, communities are working overtime to find solutions to the opioid crisis. In this session, presenters will introduce strategies to combine housing and wraparound services that can help break the cycle of addiction and meet the needs of chronically homeless individuals with opioid use disorders. Identifying and Understanding Implicit Bias (Part 2) Building off of information shared in Part 1, Part 2 of this workshop series will focus specifically on the issues of implicit bias using primary concepts and advocacy tools to serve all while addressing cultural humility, micro-aggressions and aspiring allyship. Exploring the Link Between Transportation and Housing Research has shown that transportation access is one of the biggest factors behind housing instability. It’s critical to holding down a job, getting to school, keeping appointments, and many more aspects of daily life. In this session, we’ll learn about available statewide resources and explore innovative ways providers are addressing this issue. Invisible Crisis: Youth Homelessness in Rural Communities Chapin Hall’s Voices of Youth Count initiative showed that about 1 in 10 young adults, and 1 in 30 teens nationally experience homelessness within a 12-month period. New analysis shows that these rates are consistent in rural parts of the U.S. These are the first reliable national data that show prevalence and characteristics of youth homelessness in the vast rural areas of the country. We will hear from youth providers, advocates and a member if Chapin Hall to discuss the report. Follow the Money: State Budget Update Budgets reflect priorities. During a time of increasing homelessness, policymakers in Columbus are drafting a plan to spend billions of dollars over the next two years. Find out how these decisions affect homeless and housing programs, and hear from state legislators, seasoned lobbyists and others about budget negotiations. Learn how to effectively advocate for additional resources by participating in a mock legislative committee hearing and put your advocacy skills into action. Workshop Set E: 1:45 p.m. – 3:15 p.m.
Housing Not Handcuffs! Homelessness remains a national crisis as stagnant wages, rising rents, and a frayed social safety net have left millions of people homeless or at-risk. While some literally have no choice but to live outside, efforts to punish homelessness continue to grow. People get pulled into the criminal justice system for petty offenses related to living on the streets. In this session, we’ll explore the vicious cycle of homelessness and incarceration. 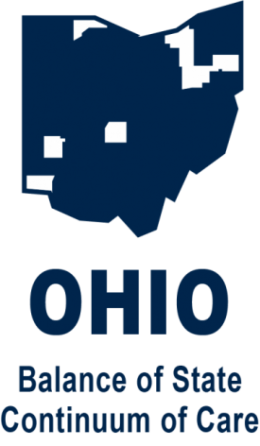 Using Legal Resources as an Eviction Prevention Strategy In 2016 there were 103,027 eviction filings in Ohio leading to 57,980 evictions, according to the Eviction Lab. Once an eviction has been filed, what can be done to mitigate the harm? What resources are available to help a family avoid eviction? How can legal representation help? Hear from attorneys on the front line from Columbus, Cleveland and Toledo. Child Welfare Initiatives in Housing The child welfare system offers crucial support for children in crisis, but unfortunately these youth face higher rates of housing insecurity as adults. In this session, attendees will learn about programs that stabilize housing for youth in foster care and those who have aged out. In the session, attendees will learn how to respond to an opioid overdose by administering Naloxone. This session will cover regulations on the drug and legal protections for people who administer it, introduce Project DAWN programs, and explore two models through which homeless programs can use Naloxone. Rapid Rehousing: A Deeper Dive Attendees will learn how housing first and rapid rehousing models can be adapted for effective use with domestic and sexual violence survivors; RRH information specific to HUD’s NOFA; RRH service delivery approaches, and other related topics. The session will dive deeper into rapid rehousing using real life examples and peer lead problem solving. Creating Racial Equity in Your Organization Embracing diversity, equity, and inclusion in your organizational values is a way to intentionally create space for positive outcomes. In this session, attendees will learn how to build these core values into their programs by learning from organizations who have done the work.